Posted November 23, 2013 by 99MilesPerHour	"As the Standard of the World Turns"
The “New Standard of the World” in Distinction! 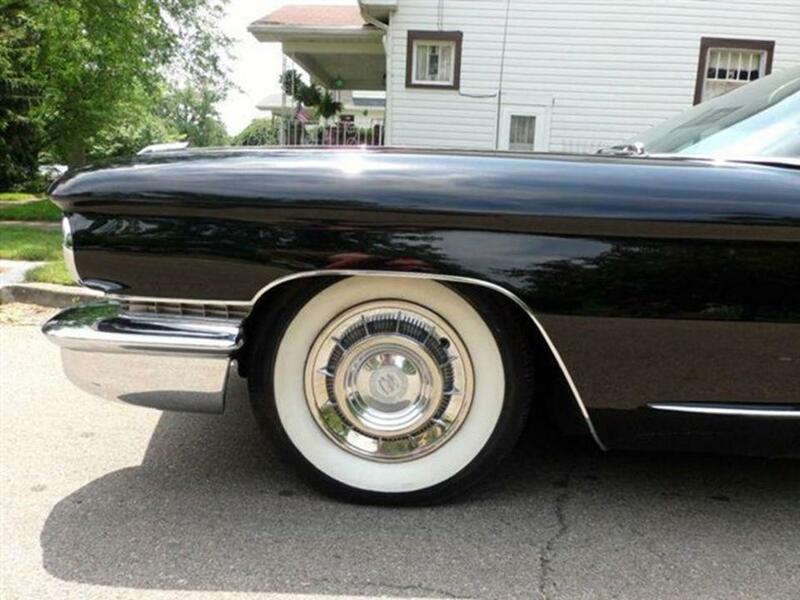 “Splendor is the constant companion of the owner of these supremely gracious versions, presenting the completely restyled 1959 & 1960 Cadillac Eldorado Brougham hardtop sedans.” They were totally unique….totally intriguing. 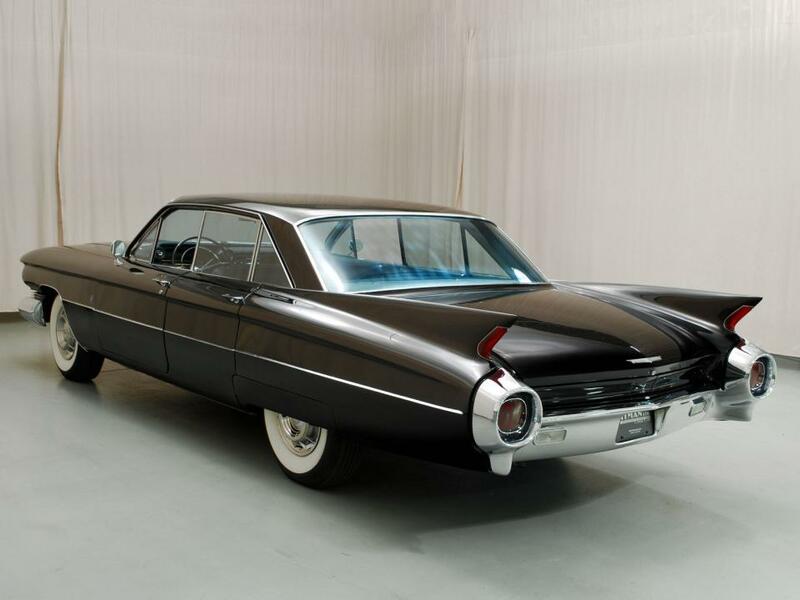 These special luxury sedans were hand-crafted by Pinin Farina (Pininfarina in 1960) of Italy. Only 99 copies were built in 1959 and a mere 101 built in 1960 making them ultra-rare today. 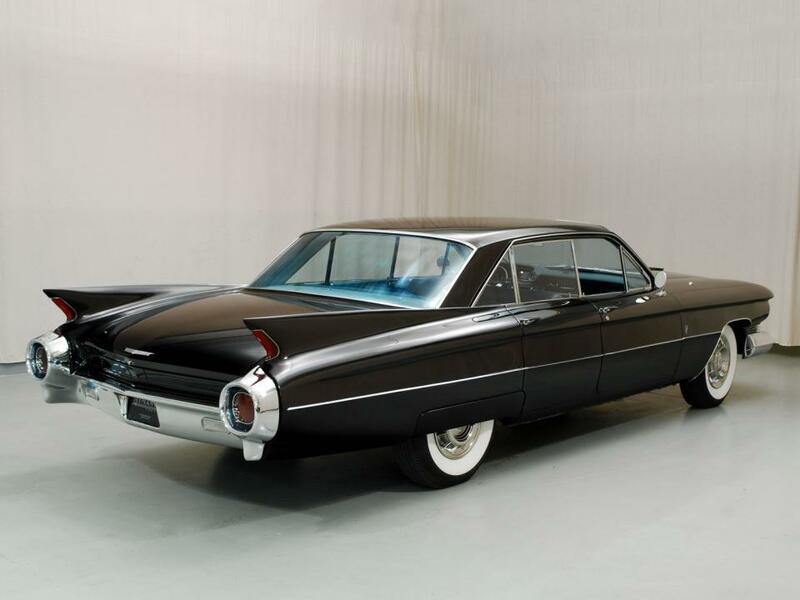 “For with these great motor cars, Cadillac introduced an entirely new dimension of automotive excellence….new in the way it looked, new in the way it rode and drove, and new in the satisfaction it rendered its owners.” These were the last custom-crafted Cadillacs. Here is a car people rarely see. Not many even knew it existed because of its rarity. Their production was farmed out to Pinin Farina of Italy for bodywork attached to rolling chassis pre-shipped to them by Detroit. Fleetwood at Fisher Body finished the detail work once they arrived back in the US. 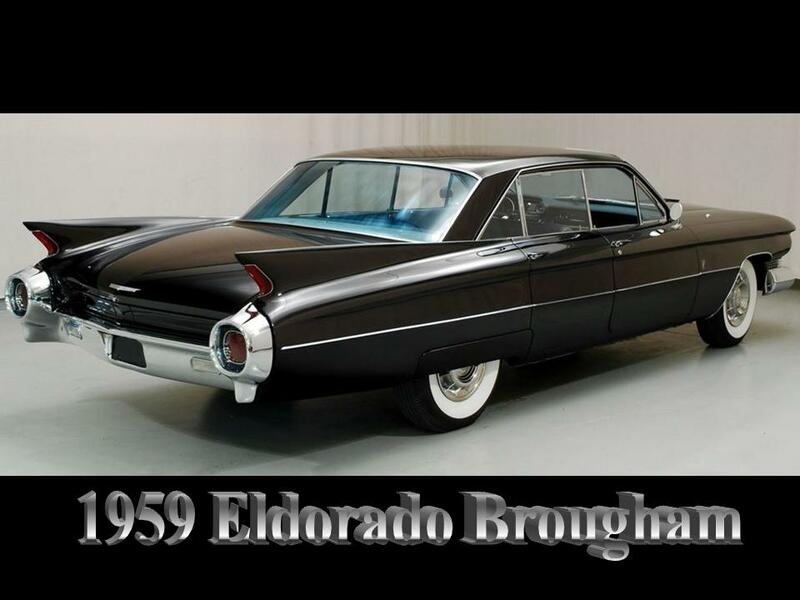 The same high quality fit and finish weren’t the same as the 1957-1958 Eldorado Brougham from Detroit. 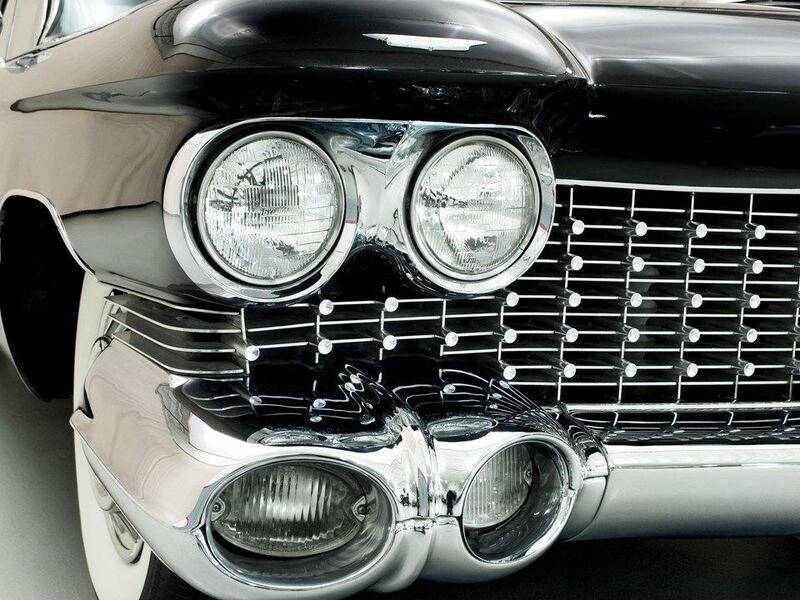 It is still a significant model in Cadillac history. This was the last custom hand-crafted body. 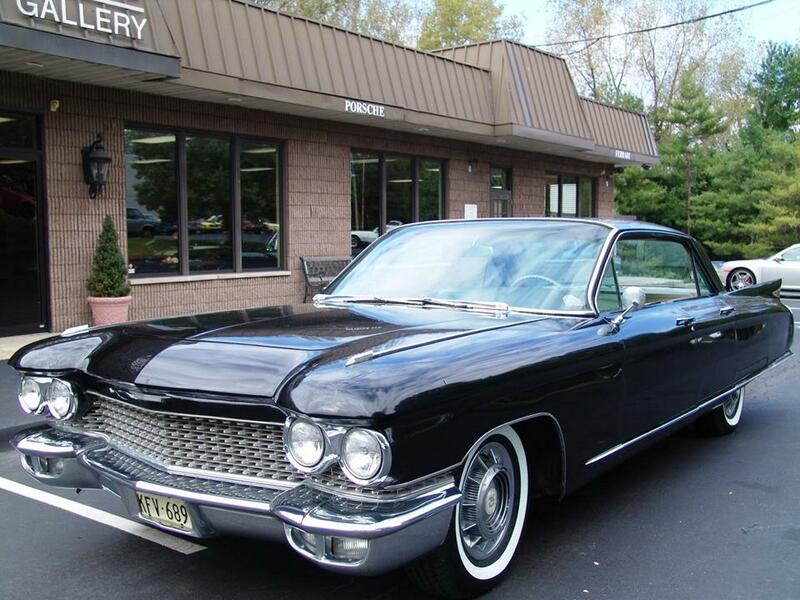 At a whopping $13,075, it was three times the price of the average Cadillac. You could have purchased a nice home for that amount back then. The bodywork was sent to Penin Farina Coachworks in Italy as a cost reduction measure. 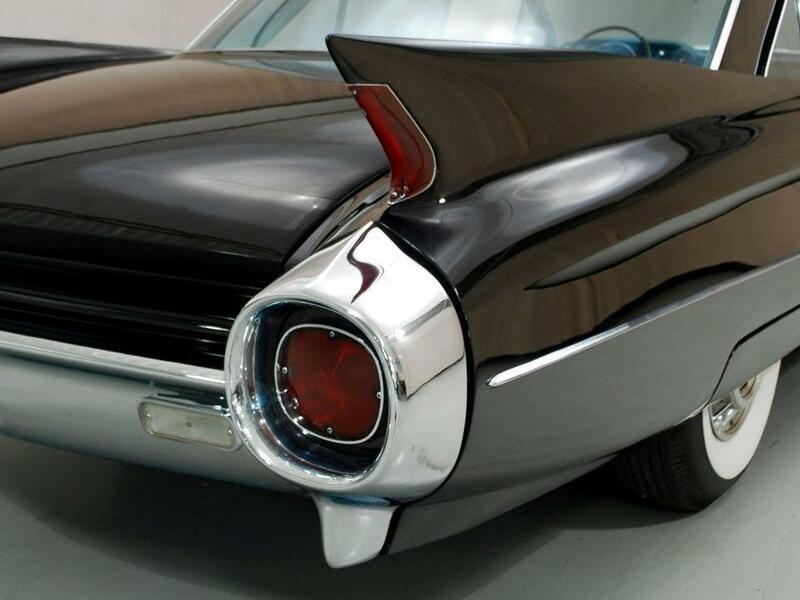 The car’s body was virtually seamless and crafted by hand hammering it into shape. All gaps and shut lines were expedited with exacting standards. 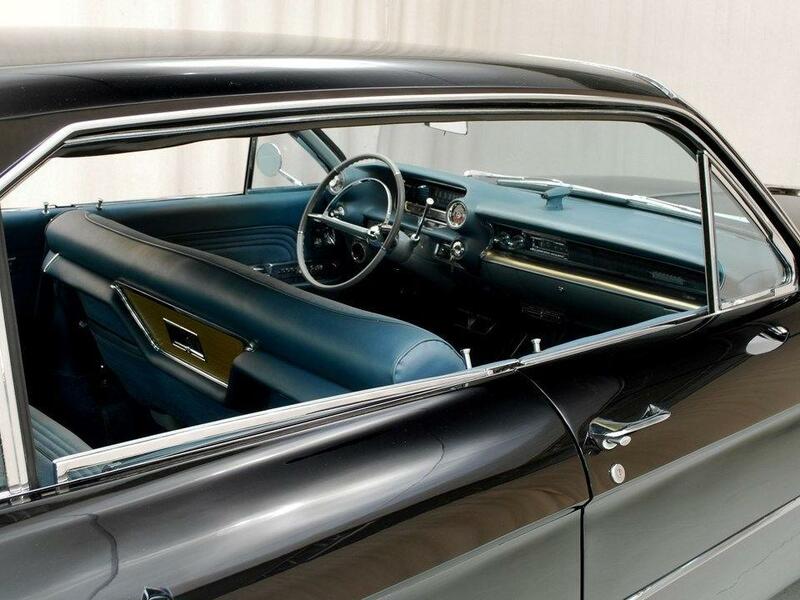 The seamless windshield and rear glass frames were hand-made from chrome plated brass and individually hand-fitted. 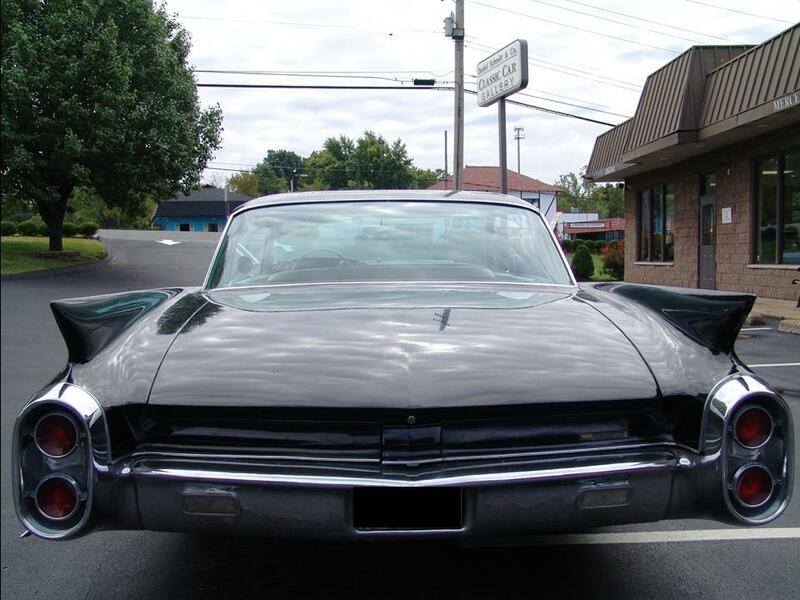 The 1959 & 1960 Eldorado Broughams were bespoke vehicles and built accordingly. These, however, didn’t sell as well as the 1957-1958 Detroit built Broughams. 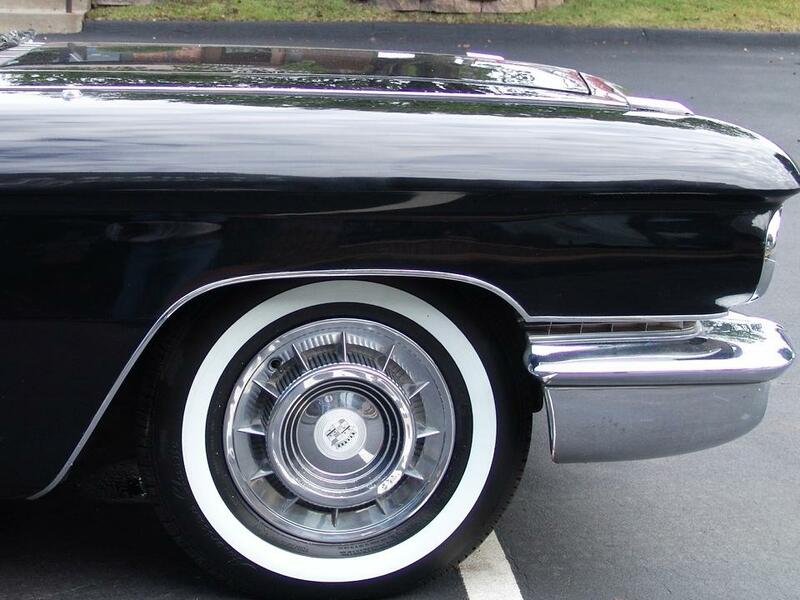 As these versions of the 1959 & 1960 Eldorado Brougham aged, the lead they used as filler cracked. 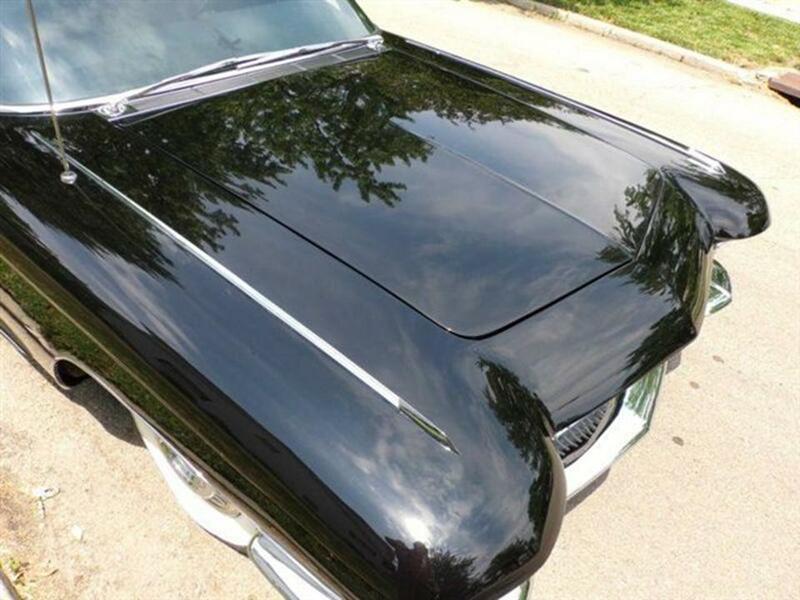 When these cars were brand new and had arrived back in the states from Italy, they required re-finishing. Their styling predicted future model designs. 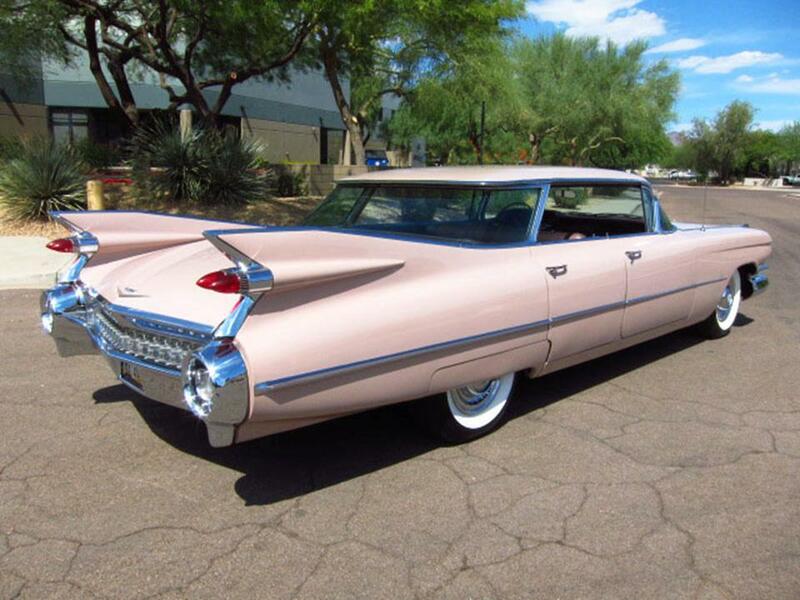 The 1959 & 1960 Eldorado Broughams were the more sedate Cadillacs. Their modest tail fins prove that. 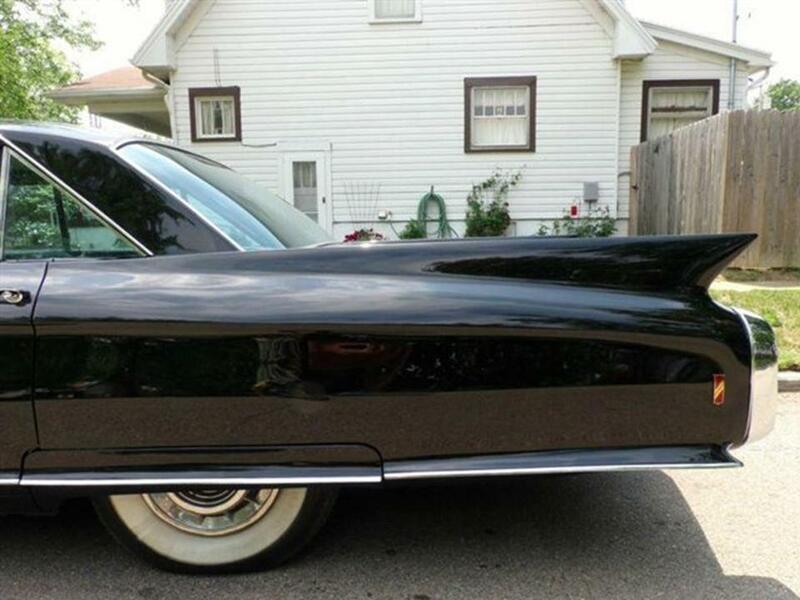 They also shed all of the gaudy chrome trim that was so typical of Detroit back in the 1950s and 1960s. 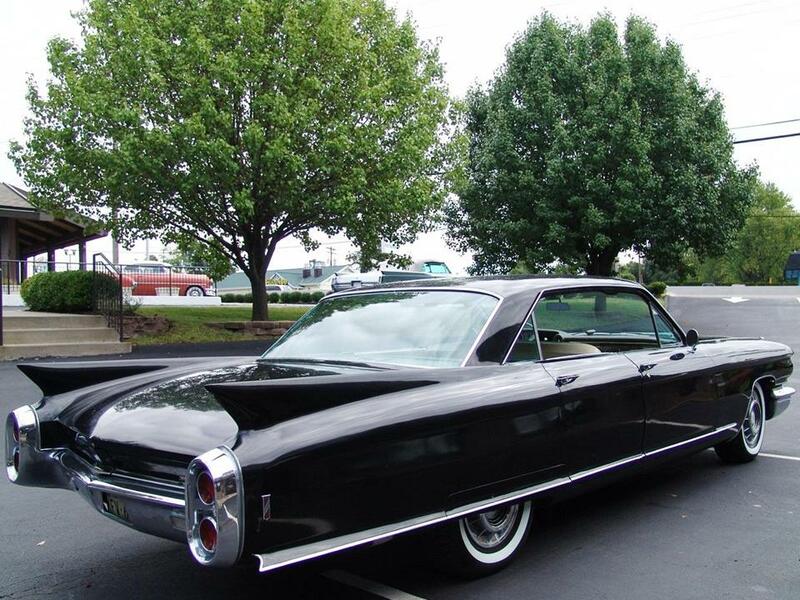 The 1959 & 1960 Brougham didn’t use the fancy rear forward opening coach doors as the Detroit versions. 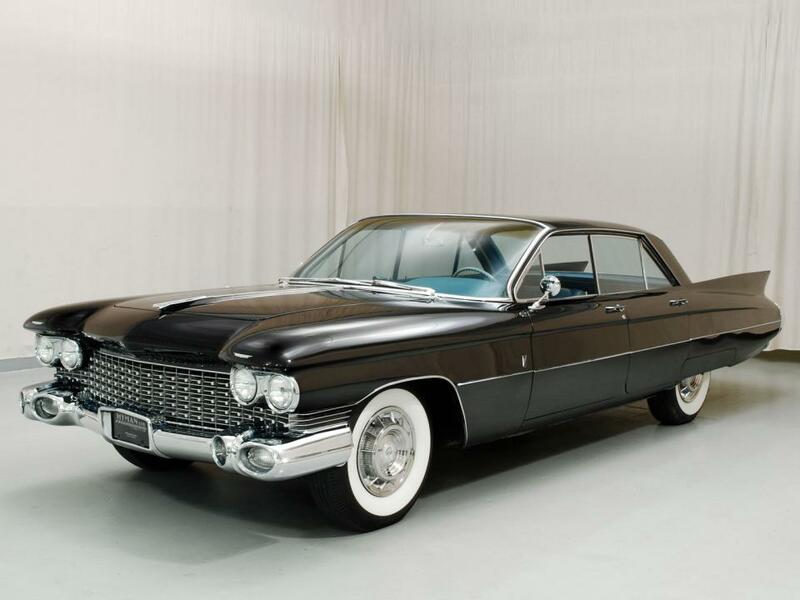 The Brougham was now made a Fleetwood sub-series, carrying a Fleetwood chassis with a 130-inch wheel-base, same as all other 1959 Cadillacs except limousines. 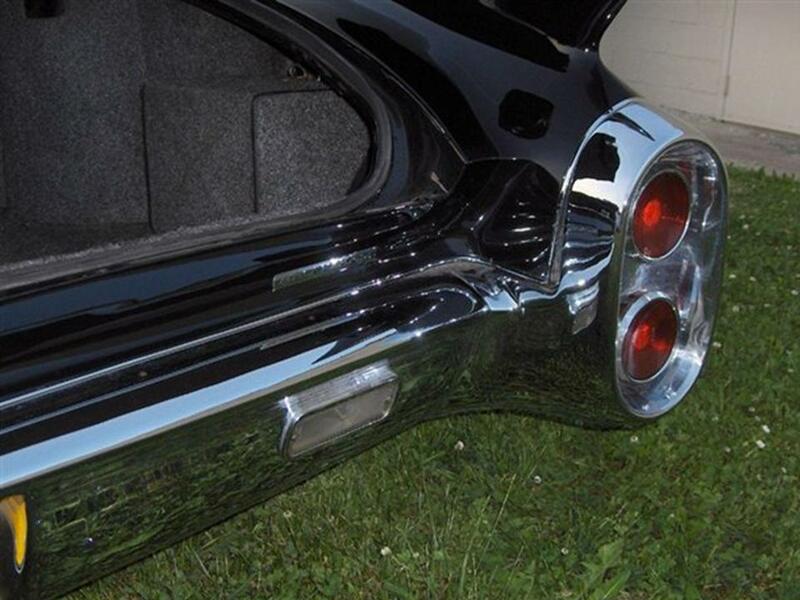 Overall length was stretched to 225 inches, again the same as for other Cadillacs. 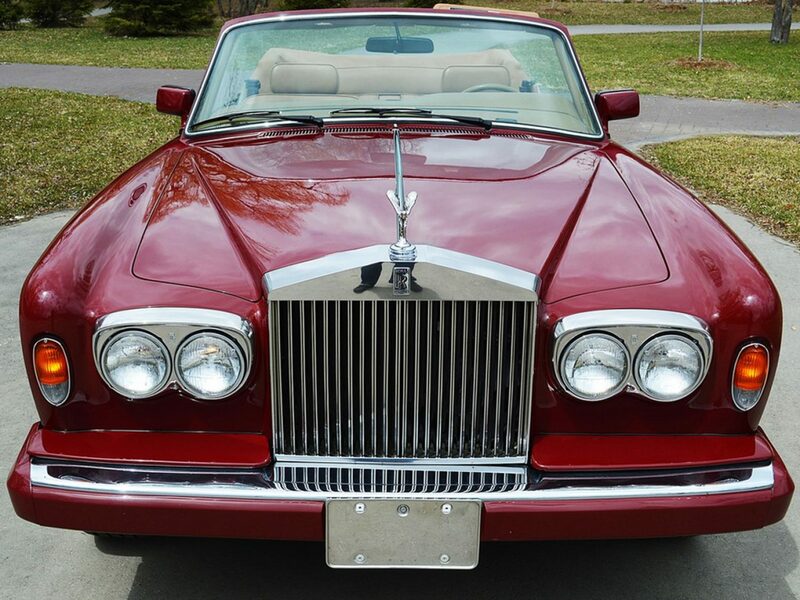 Also shared with standard models were most inner body panels, seat structures, instrument panel, pillars and door hinges, much inner hardware, front bumpers, most of the rear bumpers, much grille jewelry and outer trim, headlamp bezels, fender skirts, and Fleetwood wheel discs. 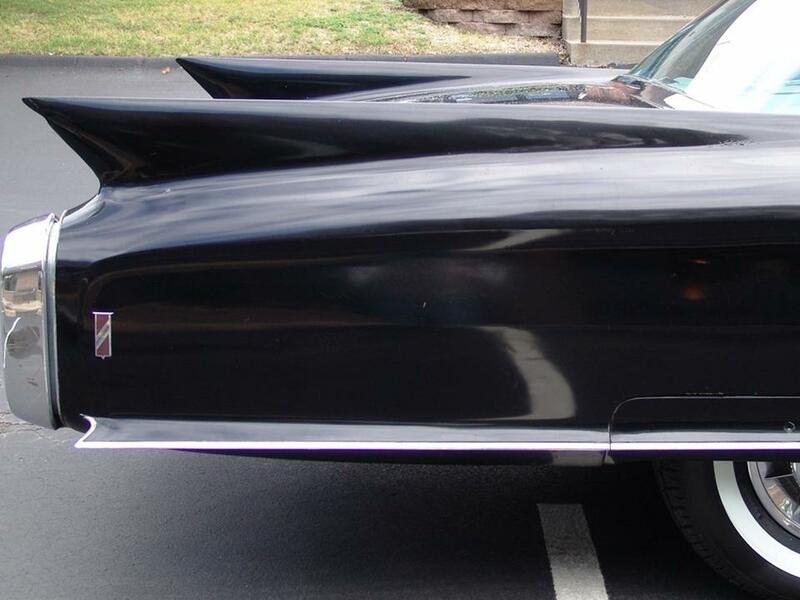 The 1959 & 1960 models had a squared-off rear rooflines with rear ventipanes. 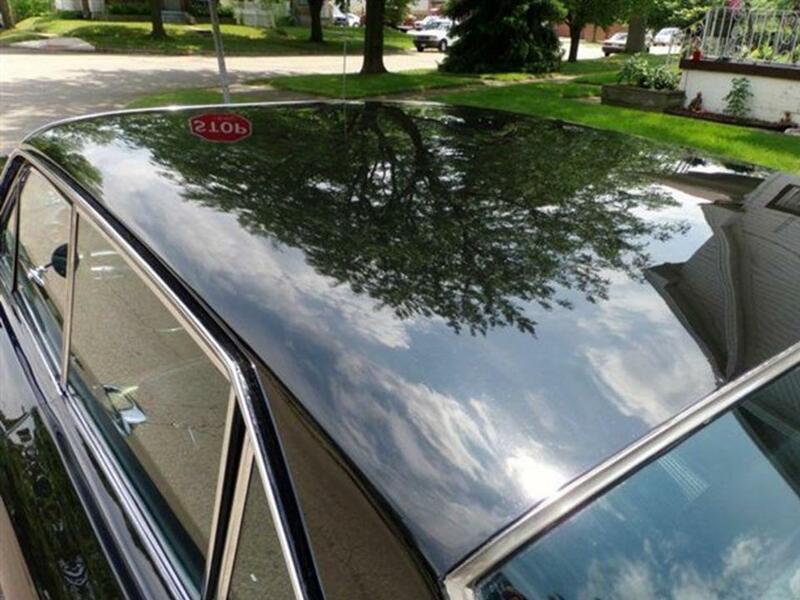 This roof styling evolved into the Series 61 and 62 six-window sedans. 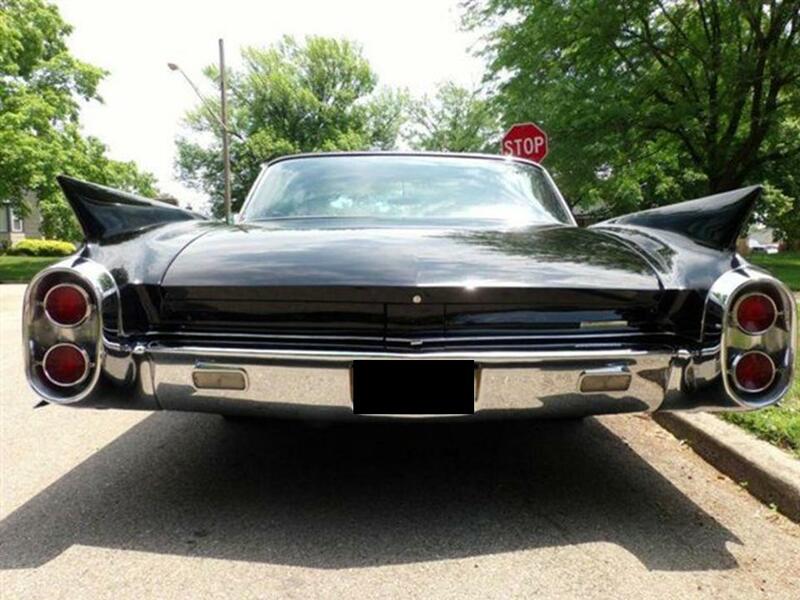 An understated “Brougham” script with a thin body side molding running from the front wheel well to the rear bumper were all the chrome it used for the sides. 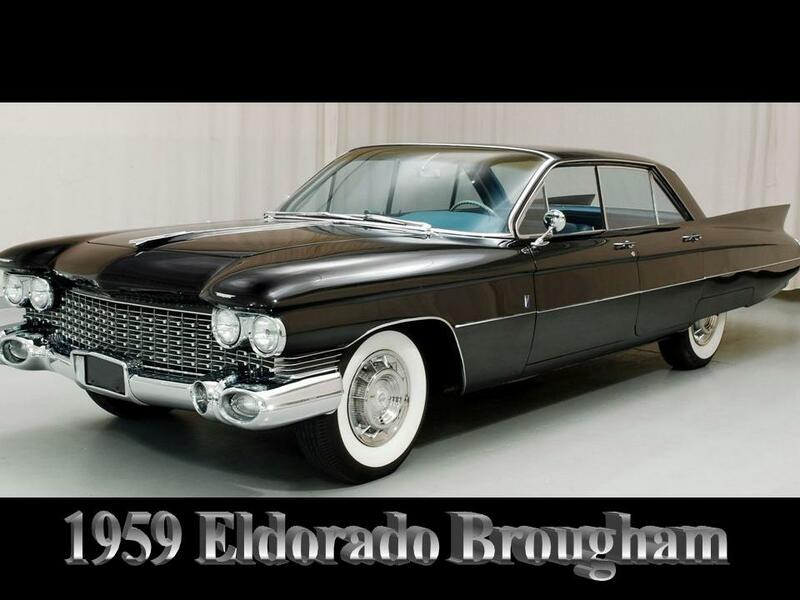 Production in Italy was not only cost efficient but it prevented the assembly lines in Detroit from the slow-down due to the nature of the hand finishing that the Eldorado Brougham required. 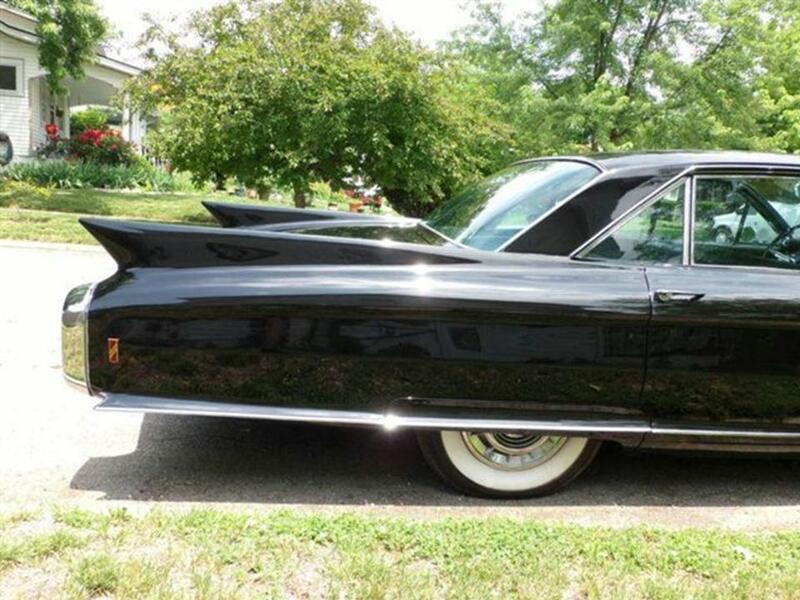 This was determined during the 1957-1958 Brougham. 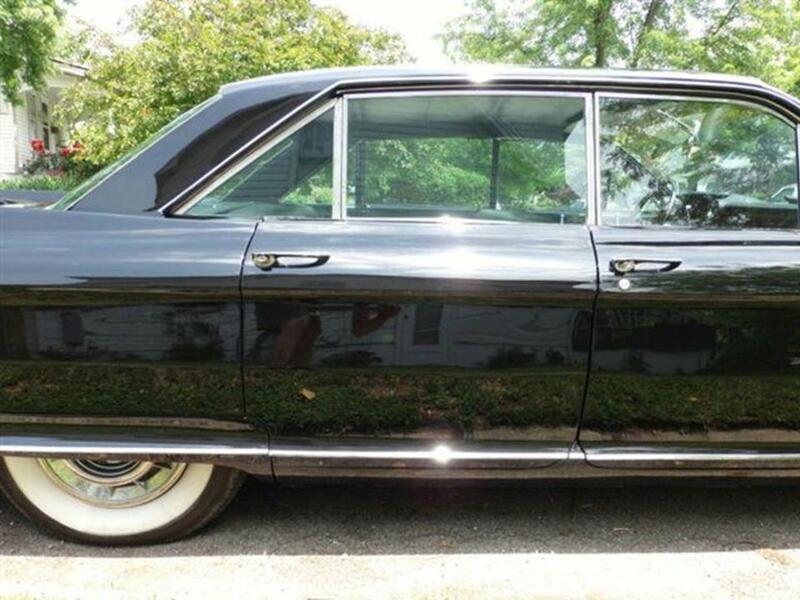 Their production slowed the Fleetwood assembly line to the point where only one Brougham was produced per day. (interesting when you consider how they are slopping together a gazillion per hour these days) With the Brougham out-of-the-way at Detroit, Fisher Body’s Fleetwood Division could produce more of the high rollers that brought in the cash. 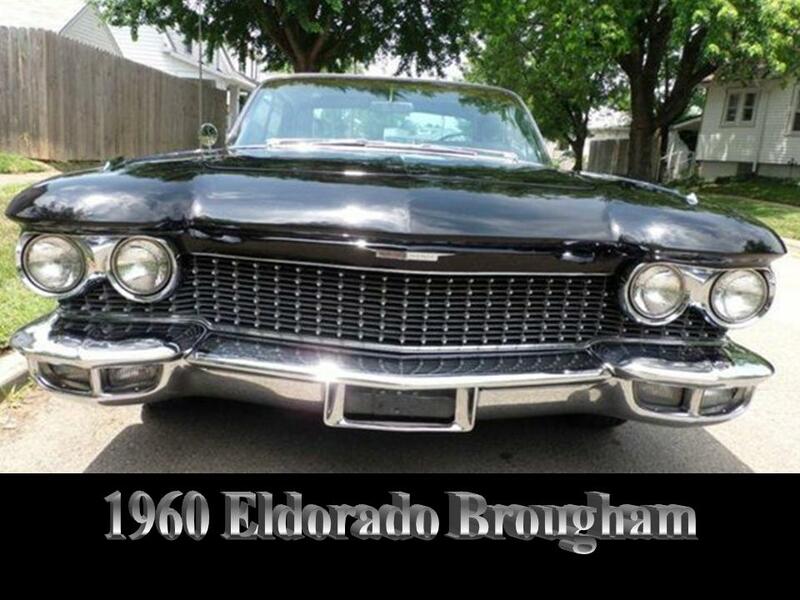 The 1959 & 1960 Eldorado Broughams were fully equipped as the other Eldorado models. 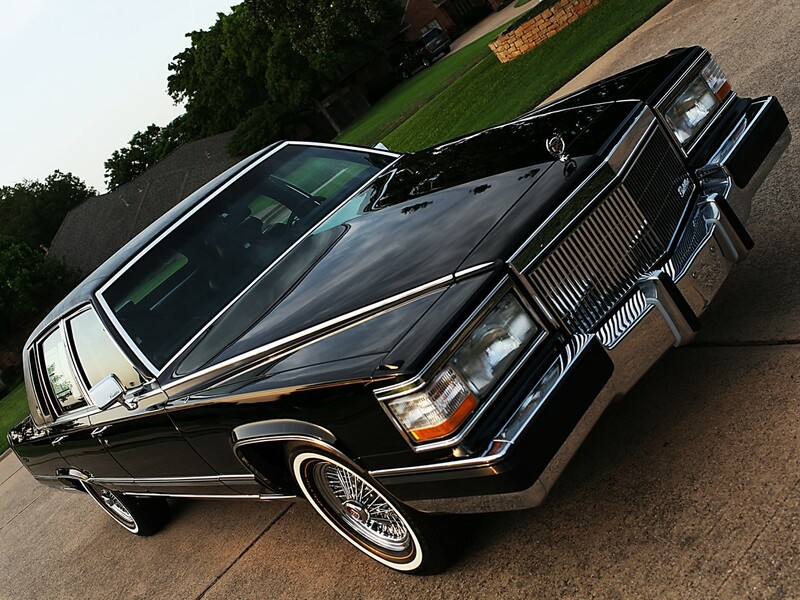 The Brougham added air conditioning, cruise control, autronic eye, and E-Z eye tinted glass as standard features. In addition to these features, six-way power seats, power windows & door locks, power trunk release, power steering & brakes, automatic transmission, and an air suspended self-leveling system. 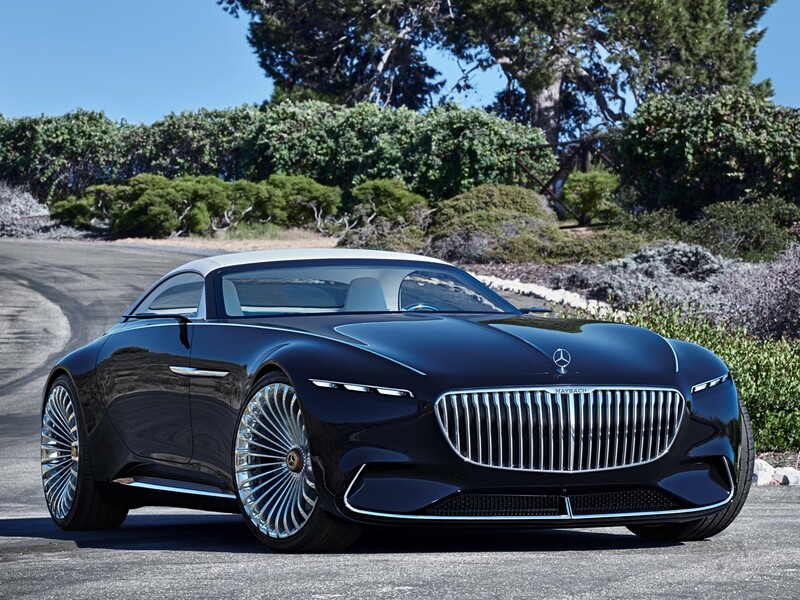 These new bodies ditched the ancient panoramic windshield for a cleaner look. 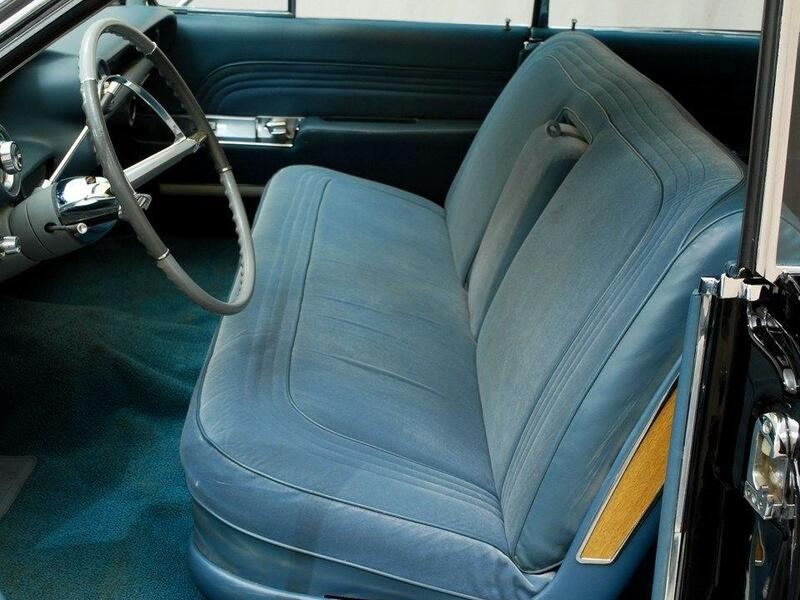 (and guys over 6’ tall thanked them for saving their knees from banging against the wrap-around dash panel known as “doglegs upon entry/exit) For the interior, the owner could specify leather or an understated broadcloth fabric for the upholstery. Mouton or nylon carpet could also be ordered. 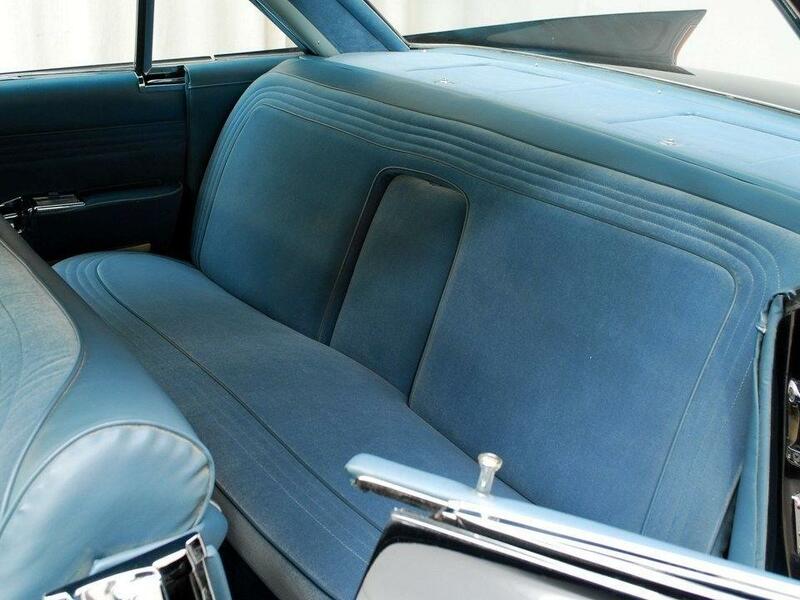 Each Brougham exhibited a refinement that only hand-crafting could produce. 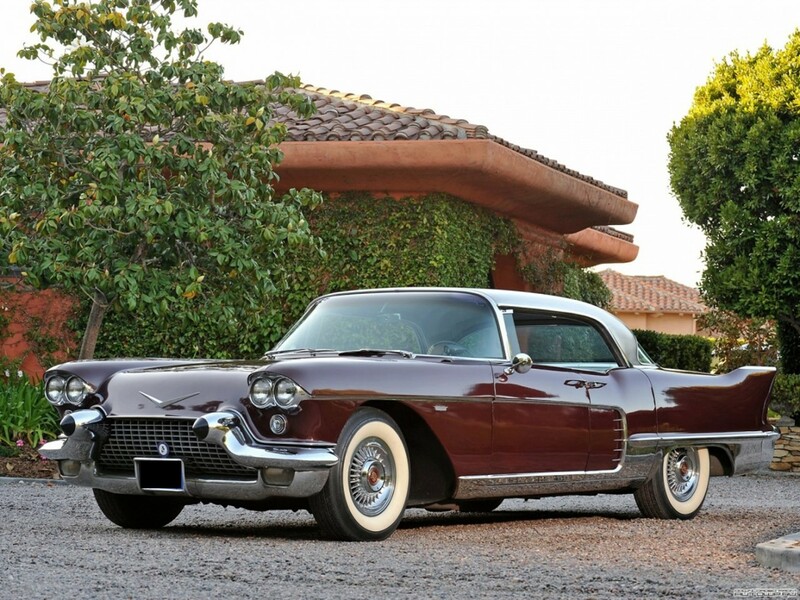 The 1959 & 1960 Eldorado Broughams were powered by Cadillac’s 389 CID V8 OHV 16-valve pushrod engine. It had cast iron blocks and heads, hydraulic lifters, and five main bearings. 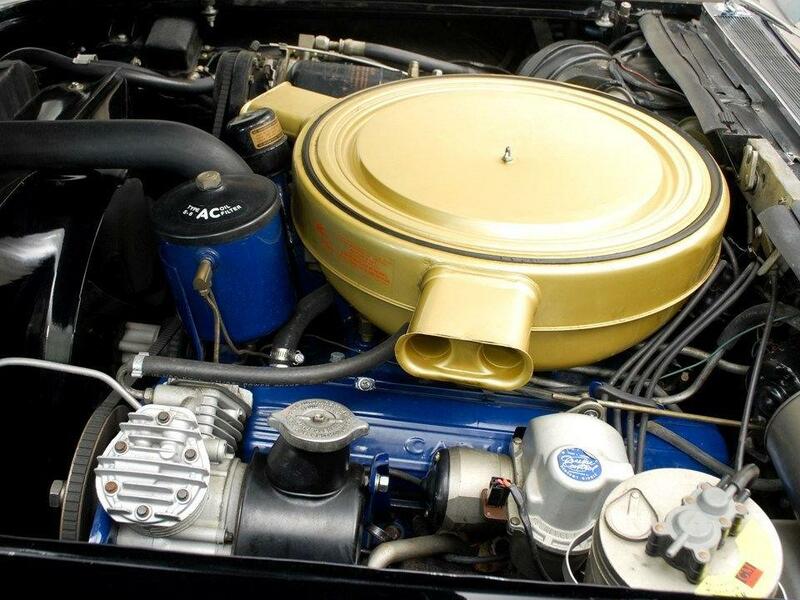 It was fitted with a Rochester triple deuce (3 2-bbl carburetors). These were really spirited vehicles. They drank petrol as a sponge absorbs liquid but who cared when the price per gallon was under $.50! The 389 produced 345 hp @ 4,800 rpm with 590 Nm of peak torque @ 3,400 rpm. 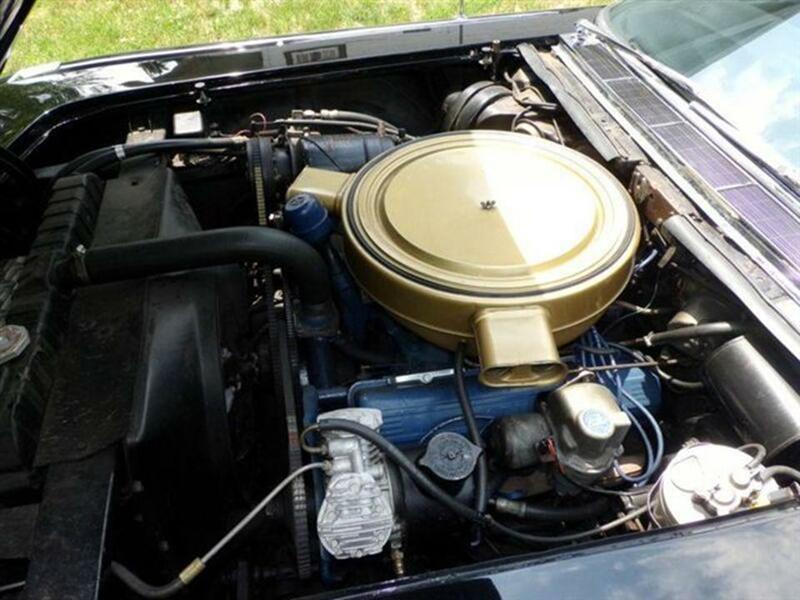 The engine was mated to GM’s 4-speed Hydra-Matic Jetaway automatic transmission. Both went from 0-60 mph in 10.5 seconds, 0-100 mph in 29.2 seconds, with a top speed of 122 mph. They could do the ¼ mile @ 83 mph in 17.7 seconds. 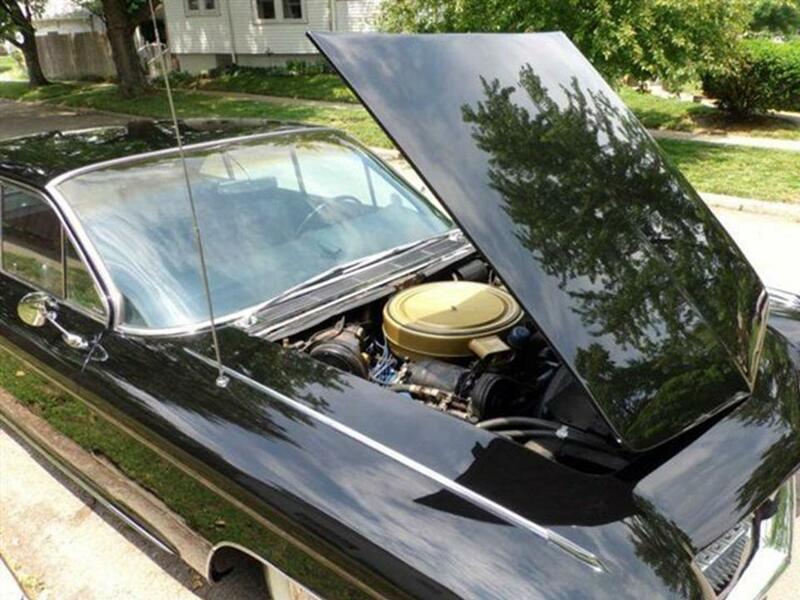 The performance specs were basically the same for both 1959 & 1960 with a difference of a second or two. 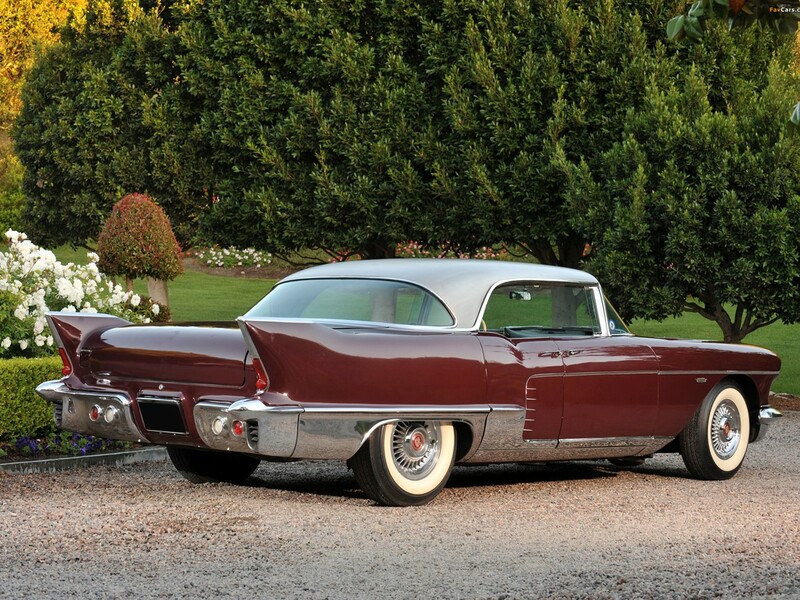 Both 1959 & 1960 Broughams rode on Cadillac’s rugged tubular X-frame. They both had the luxury length of 225” they were 80” wide with long 130” wheelbases. 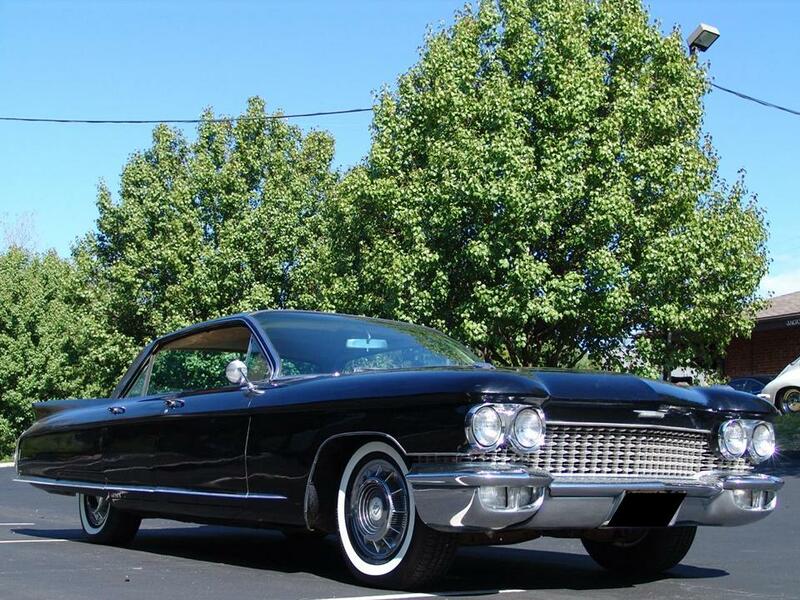 The 1960 model year was the last time the problematic air suspension was used. 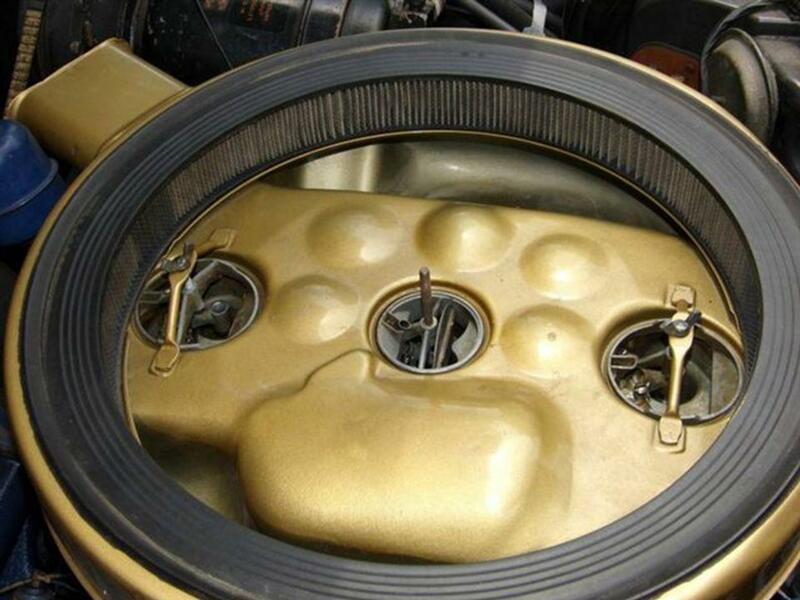 GM made a coil spring conversion kit as a factory part which many owners converted their cars to prevent those “embarrassing moments” when the car would become an unintended low-rider that rendered the Brougham inoperable. 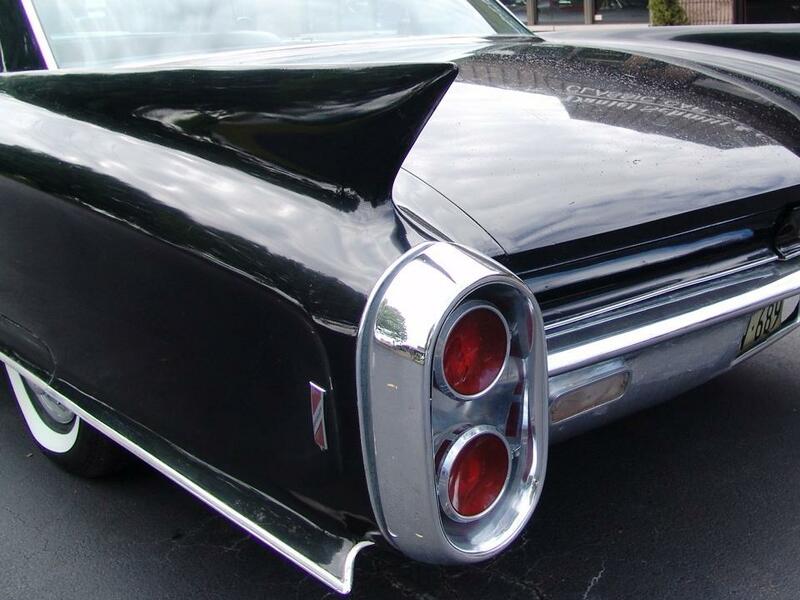 Check out the fins, can you see where the upper tail lamp would be? 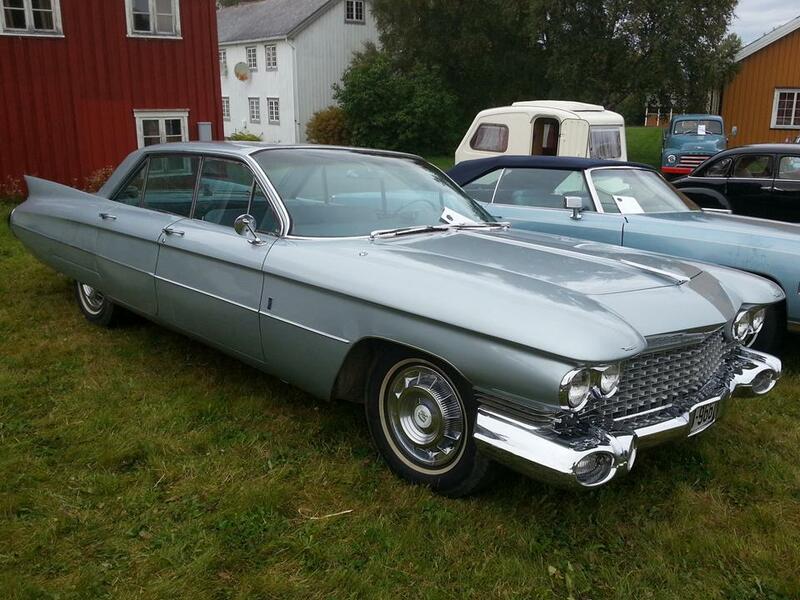 They look just like the standars 1960 Cadillacs. 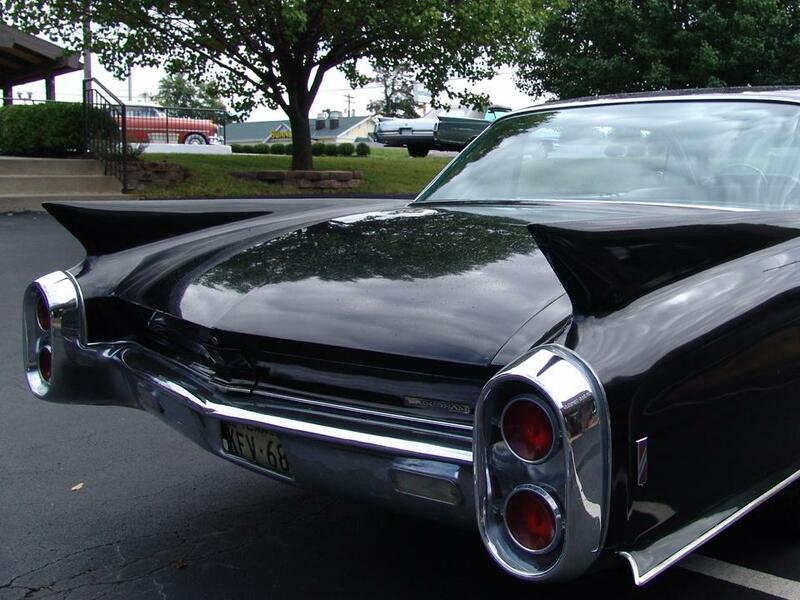 The 1959 & 1960 Eldorado Brougham was the last hand-crafted Cadillac. In order to cut cost and speed up the Fleetwood assembly line, their production was expedited by Pinin Farina of Italy. They weren’t crafted as the 1957-1958 model years were. 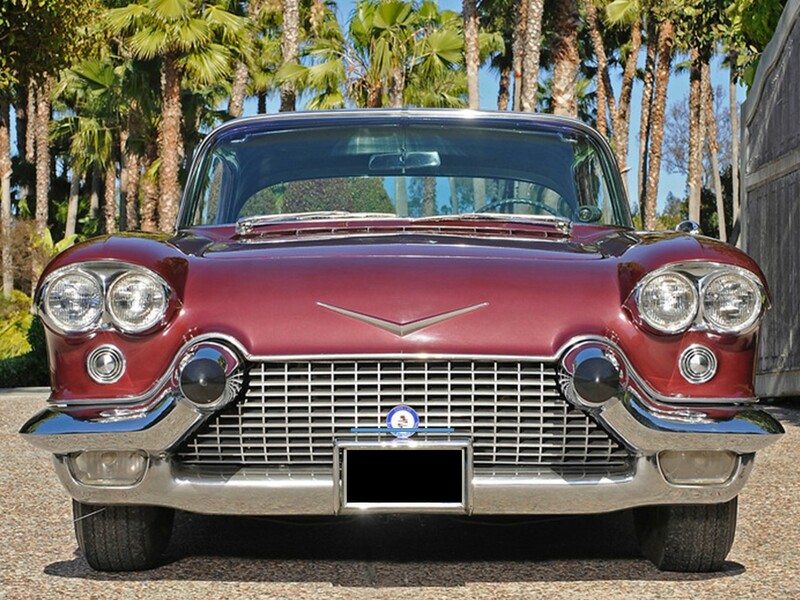 They were still significant models in Cadillac’s history. 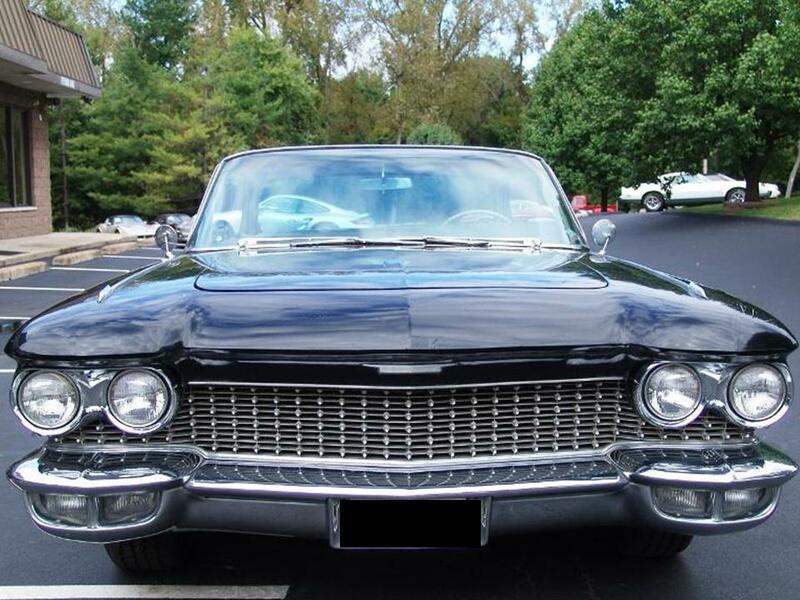 With the 1959 model year yielding 99 vehicles and the 1960 model year yielding 101 vehicles, they are quite rare and highly collectible.